4 new stages included in this new world. Some changes to gameplay, now edges hold you back. It is a Xmas Special edition. 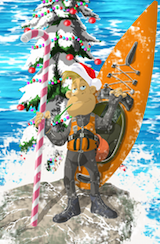 Additionally, it will be at half price from December, 20th until NEW YEAR! Rapids Rider has release date! 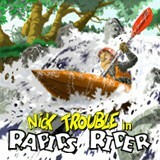 Rapids Rider the new most fresh gaming experience for iPhone, iPod Touch and iPad has at last a release date!. It will be launched on October 11th, 2011. Check out all its final features and the official HD video trailer at the Rapids Rider website.